Okay, spoke too soon. Access to any blog whilst in China is impossible. I was able to update mine twice, but couldn't read any others. So now back in the UK and slightly jetlagged I'm catching up with all the Moth blogging news I've missed. Good to read all the Worlds form guides that are now out. Always funny to read what people think. I suppose I'd better get on with my new boat though! More importantly though is that my latest issue of Seahorse was in with my post pile, so I'll be stuck with my head in that for most of the day. 100 knot landyachts - how cool is that! Just one of many interesting articles. Okay connection to my blog is tricky. China is starting to feel like familiar territory now. Just got back out here again today ready for the 2008 IFDS Qingdao International Regatta - unnofficially a Paralympic Games test regatta in the Olympic & Paralympic sailing site. Just battling the jet lag at the moment, so thought I'd check if I could blog from here, as last time I seemed to be blocked. 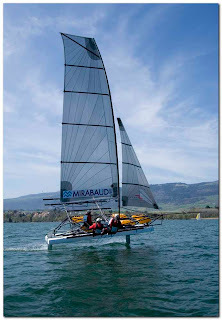 Great to see more foiling boats, or should it be craft in this case? 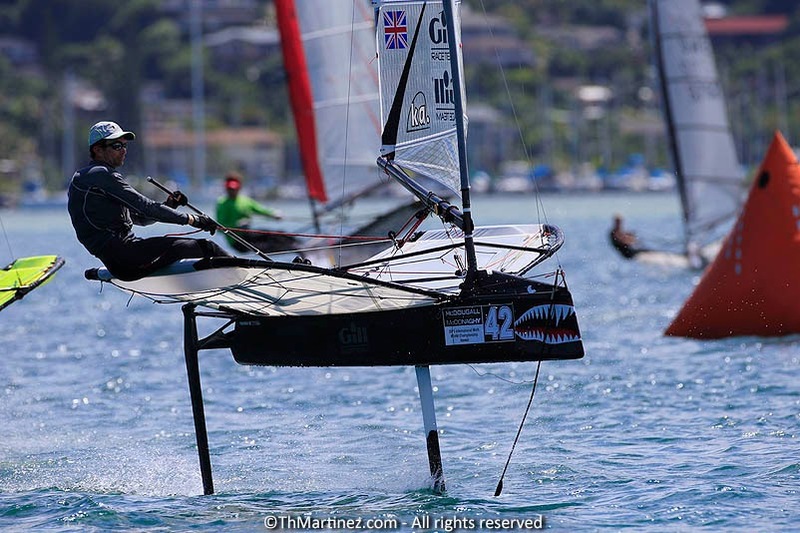 Not the prettiest of foilers, but great to see more development going on. 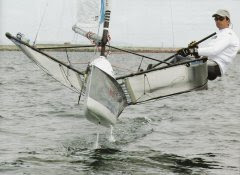 Check out the end of the video, for what happens to the tempory hulls when she crashes slightly! 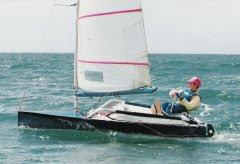 Good article on the DailySail about it.